Our experienced design consultation professionals answer important questions to simplify customer planning for new flooring installations. Munday Hardwoods offers excellent, personalized customer service and provides free estimates and quotes. 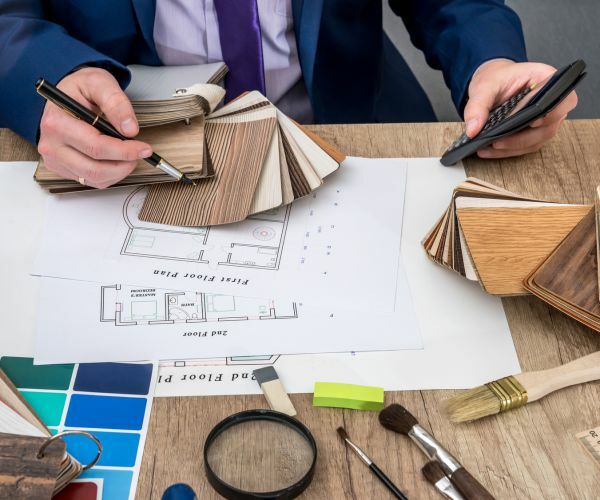 Munday Hardwoods offers free design consultation for homeowners and businessmen that have many important questions about their new installation, or renovation. We understand that unless you have had some experience by living through a complete project in the past, these questions can be rather confusing. Furthermore, flooring manufacturers are constantly introducing new flooring products that customers need to understand. To simplify this situation, Munday Hardwoods design consultation gives our customers much-needed answers. When you're planning a new project, it requires that you make all kinds of important decisions. Some of them are related to design considerations such as which color looks the best with the flooring you have selected. Others are practical, such as what type of flooring will be strong enough to withstand wear and tear of active children and pets. We provide all types of flooring including hardwood, vinyl, tiles, laminates and area rugs. Other key decisions are budget related, and dependent upon cost vs. quality or style. Munday Hardwoods realizes that many of your decisions might be difficult to make and that most will be easier with our professional design consultation. Our highly trained interior design consultants will give you all the information you need to simplify your decision-making process. They will help you understand just which flooring products are most suitable for your home or business, and which colors are compatible with your design goals. They will also inform you about options and services that are the most in tune with your family's lifestyle and budget. We also know that most of our customers are probably not familiar with the remodeling décor and processes. However, that's our assignment and we will always complete each project to the best of our ability. We look forward to seeing you and discussing how our company can affordably meet your needs. To schedule your design consultation with one of our professional advisers, contact us at (828) 475-8598, or visit us at our store in Lenoir, NC.